Get the full WatchRecon experience on your iPhones and iPads! To install this free app, simply visit this link or search for "watchrecon" in the iTunes App Store. 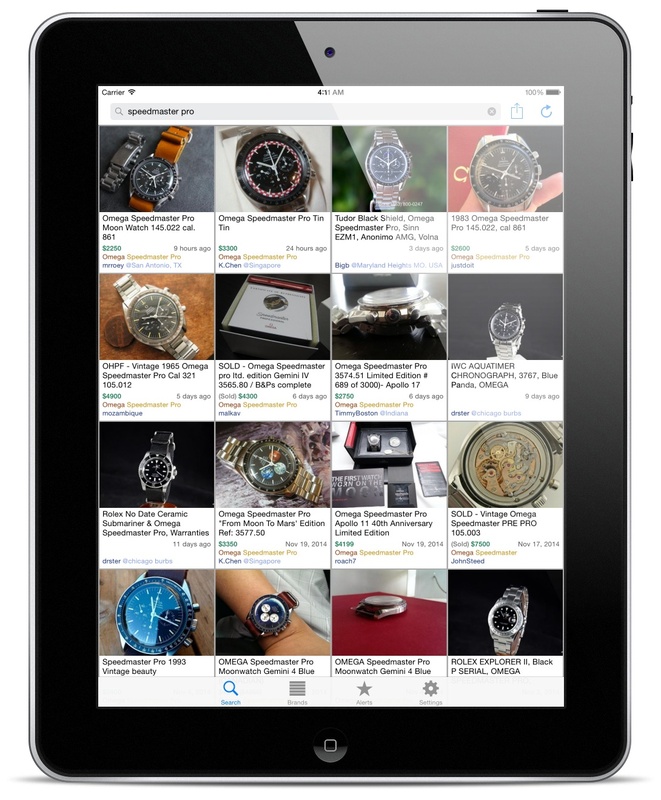 The iOS version of WatchRecon is designed with the iPhone and iPad (screenshot) form factors in mind in order to provide a more friendly and faster browsing experience. 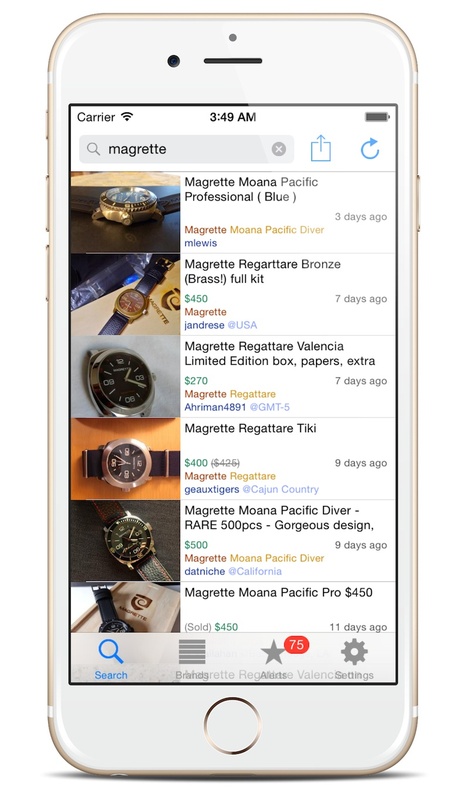 Now you can check out used watches and get your fix easily on the road! We will definitely be putting in more useful features in future versions. Please contact support@watchrecon.com for feature requests. If it's not too much to ask, we would appreciate it if you could rate and review the app!